It’s been a busy week in bird news–some of it bad, some of it good, and some of it just plain head-scratchin’. Let’s start with the odd stuff first. In a move that brings new meaning to the term “farm team,” one of the min0r-league affiliates of the Philadelphia Phillies has a new mascot. 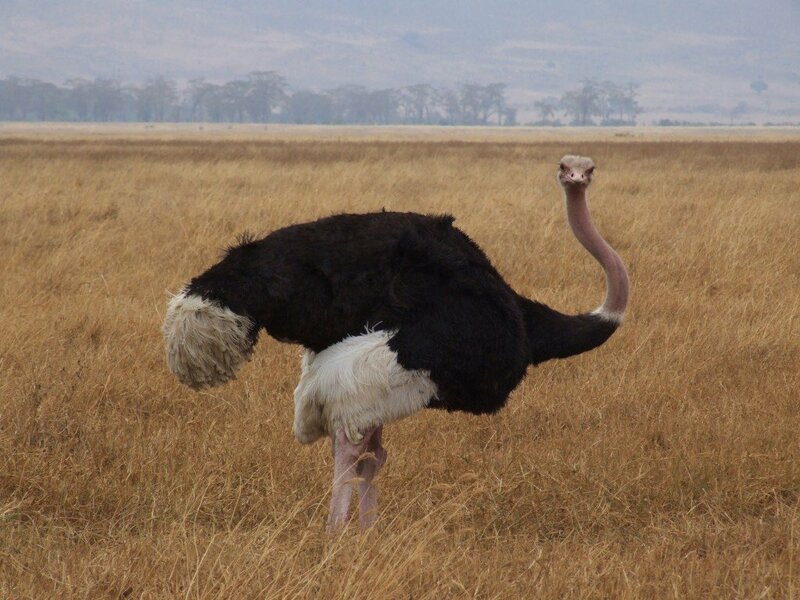 Henceforth, the Reading Fighting Phils will now be represented by two ostriches, who will live at the ballpark and greet visitors to the team’s games. Perhaps these two ladies could be love interests for the Phanatic? Here’s one from the heartwarming department. While penguins who live in Chicago’s Shedd Aquarium don’t have to worry about oil spills or other environmental disasters, they have problems of their own. Namely, bumblefoot: inflammation and infection caused from ambulating on the aquarium’s rough, man-made terrain. Students in Northwestern University’s engineering program have come to the penguins’ rescue, designing bootie-like bandages that ease the irritation without impeding the birds’ ability to walk. (Or, as penguins do, waddle.) The end result? You guessed it–some truly happy feet. I love the bootie design for the poor penguins, and the brilliant connection between an aquarium and engineering students. This Week in Bird(ing) News: The Good, the Bad, and the Huh?